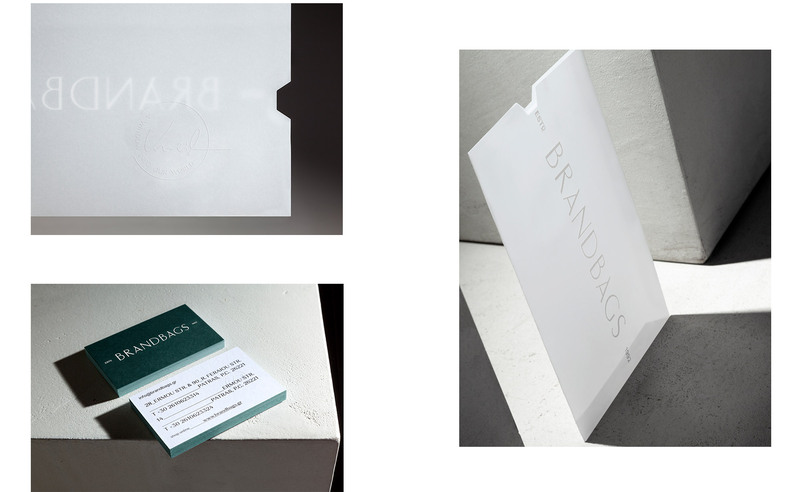 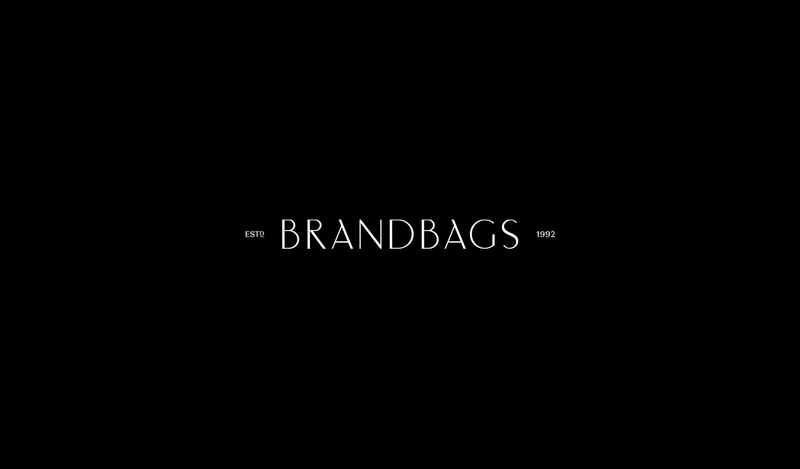 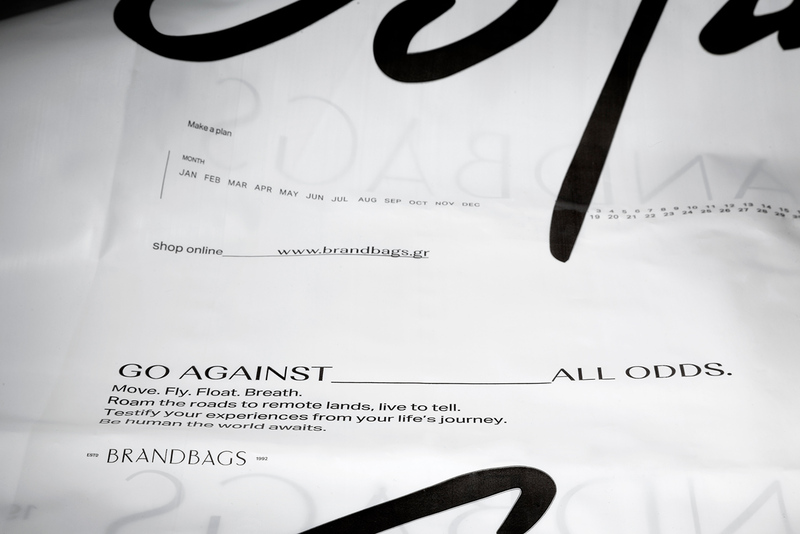 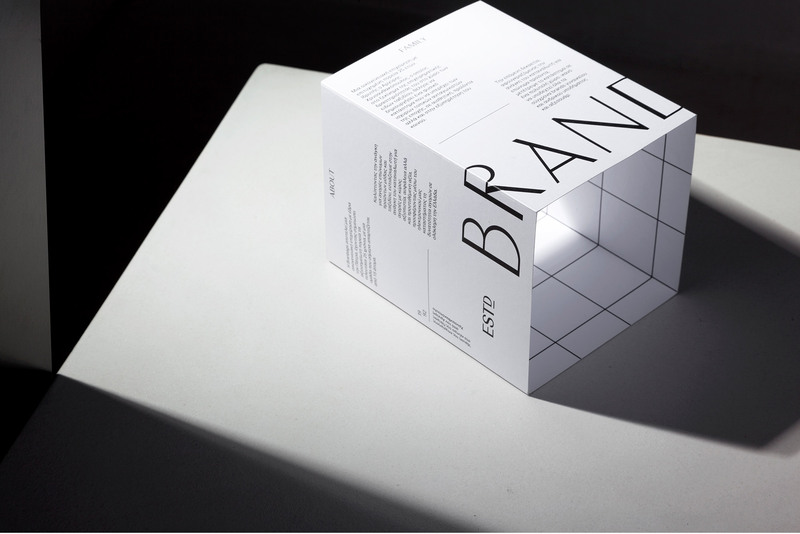 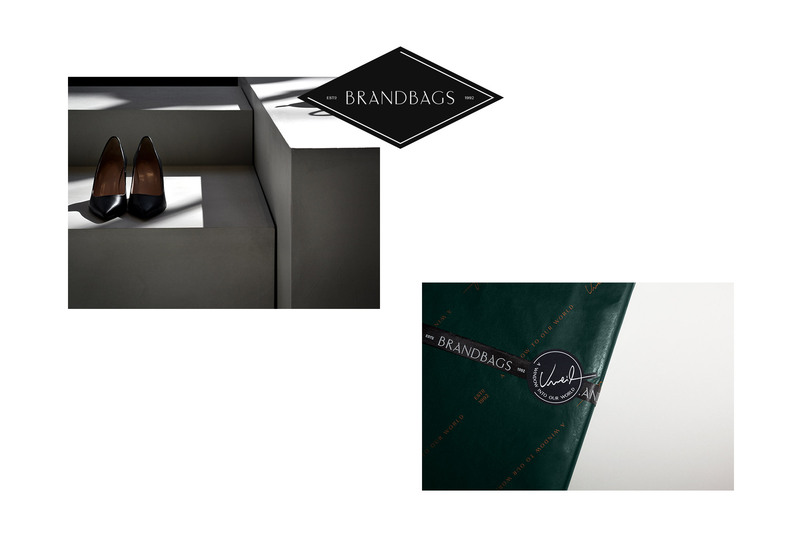 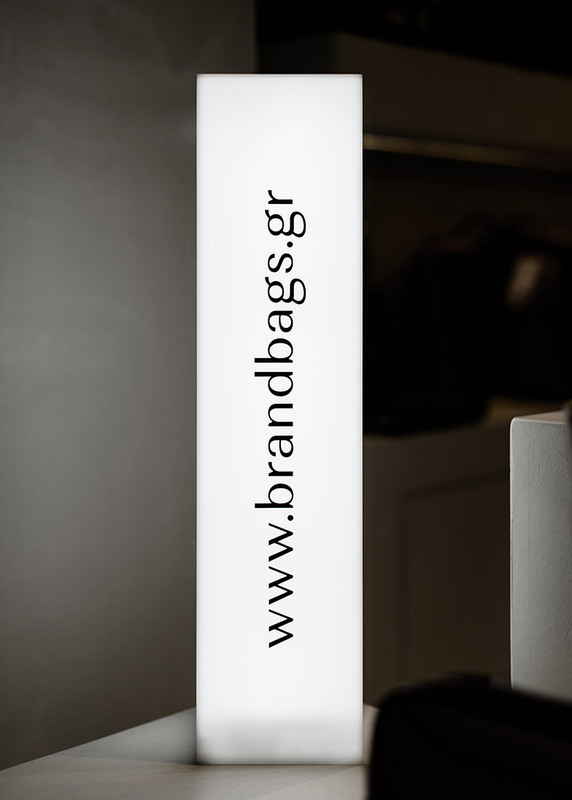 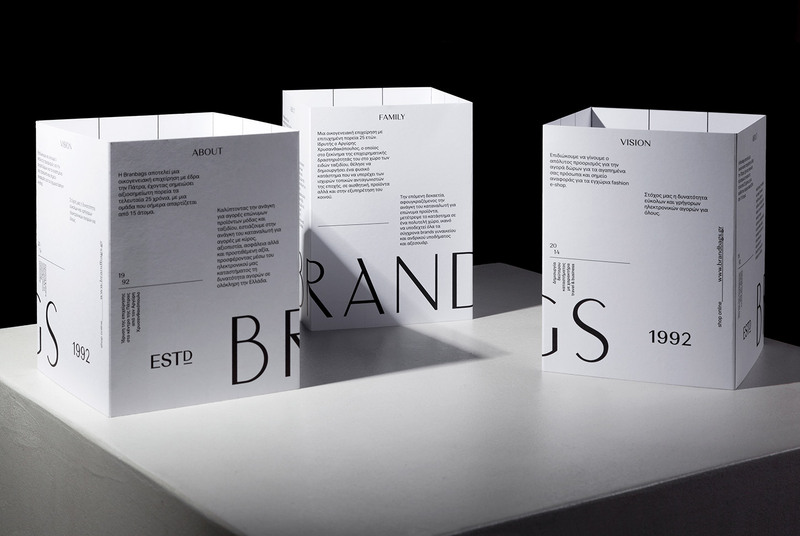 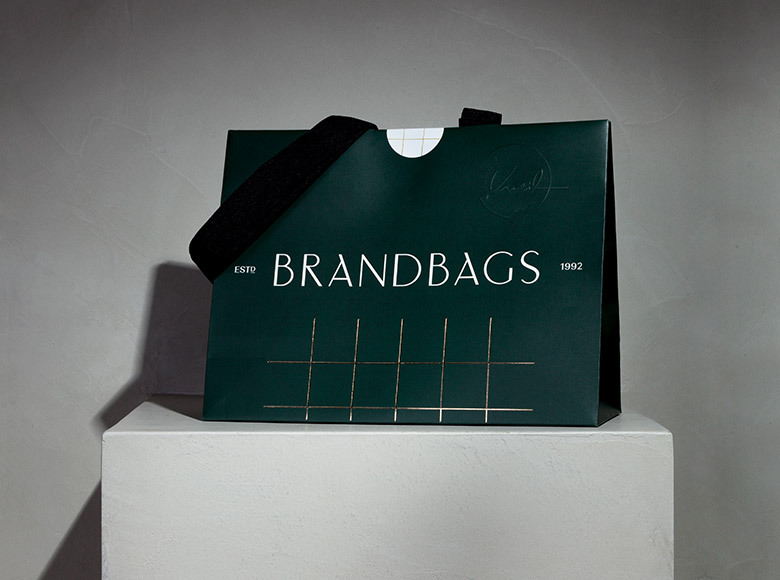 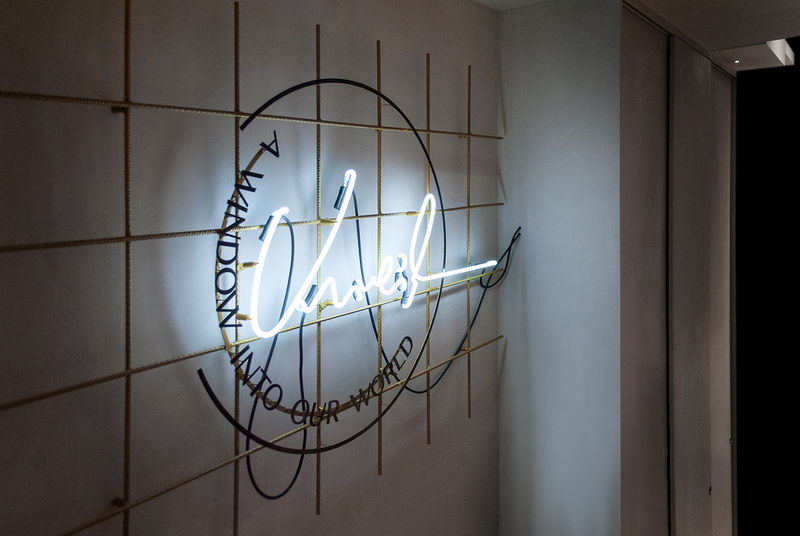 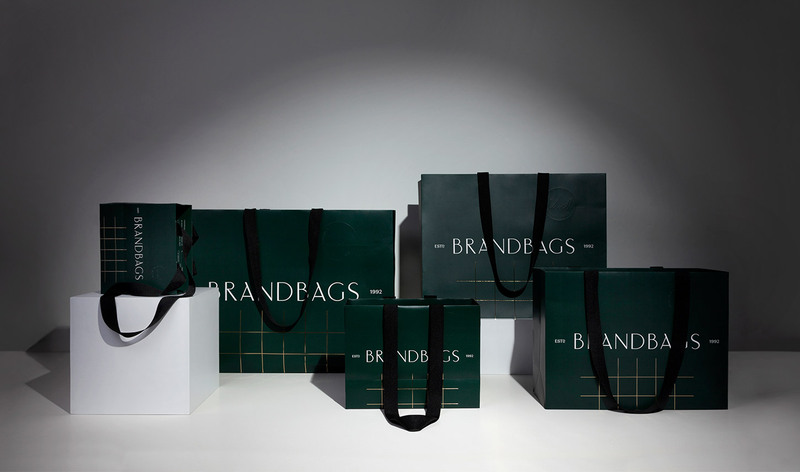 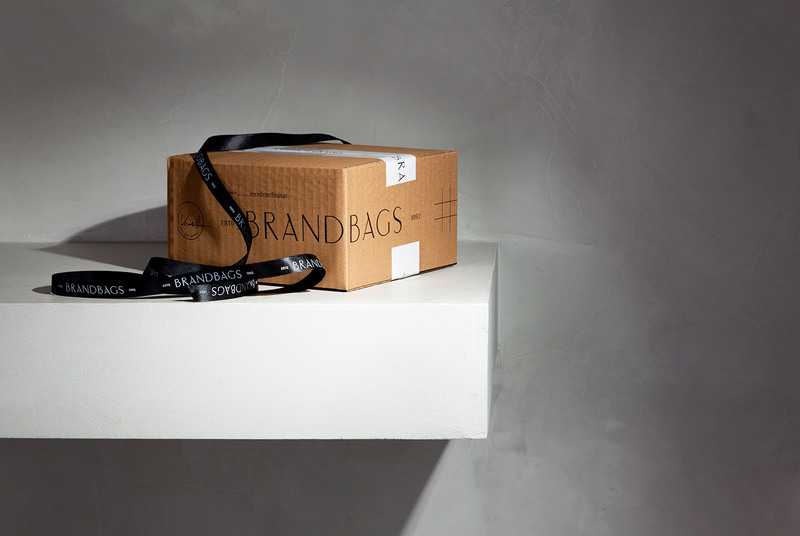 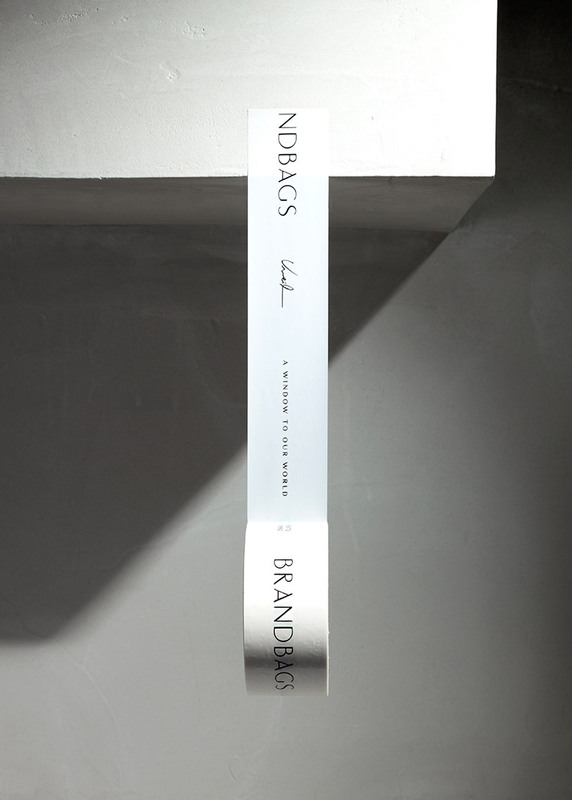 The Brandbags company founded in 1992 and it operates as a market leader of luxury leather accessories, in natural stores and e-shops. 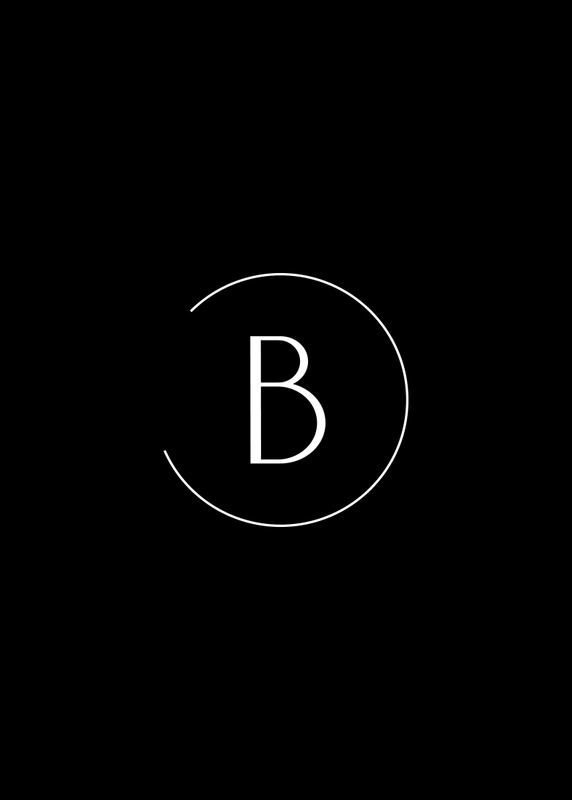 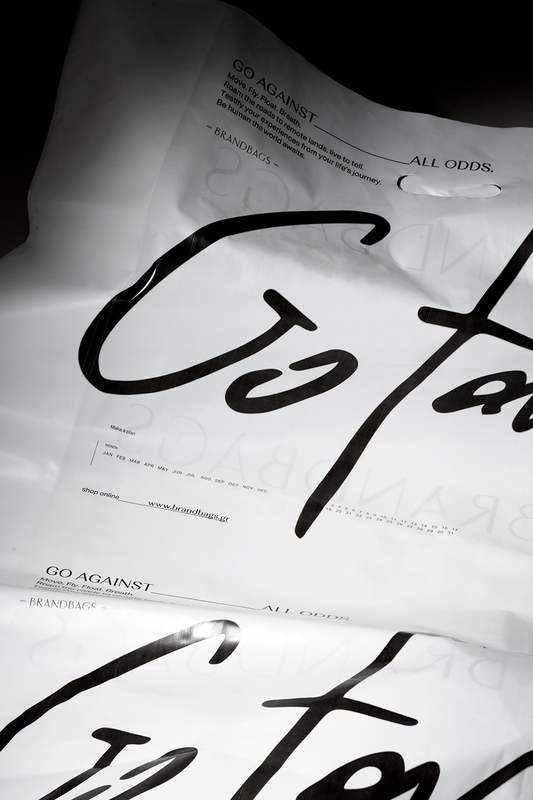 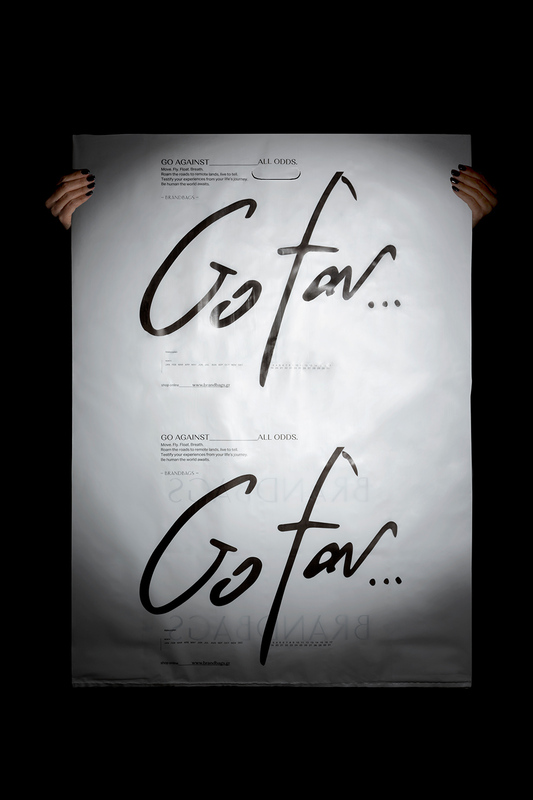 Our goal in the process of redesigning the brand was to create a timeless feel that can support changing trends by communicating neutrality and flexibility. 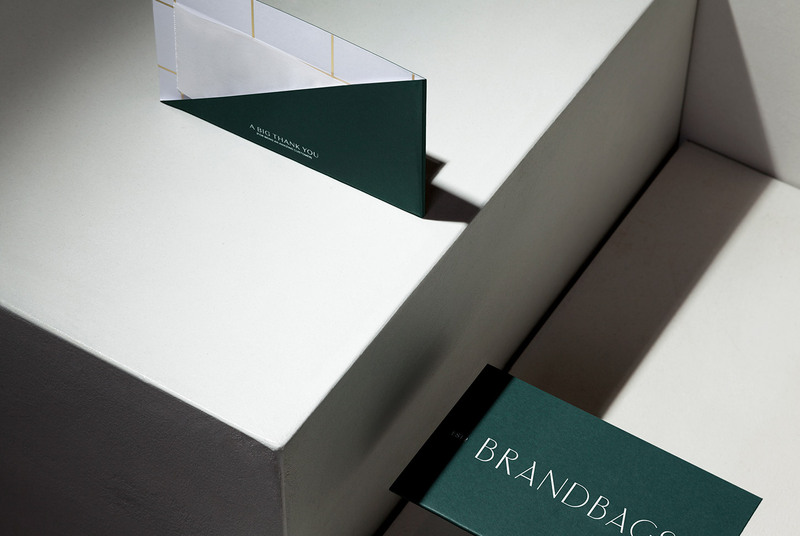 Maintaining the logos’ wordmark approach, we designed in a way that was subtle to any style while maintaining a distinct character. 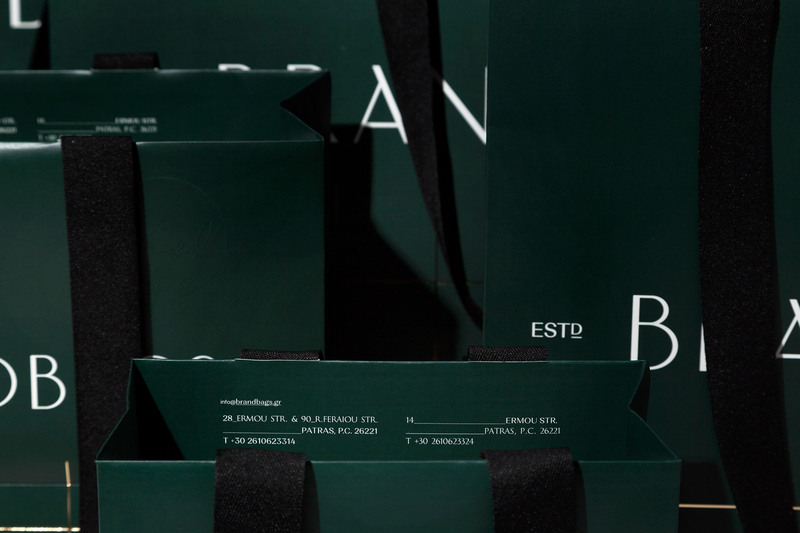 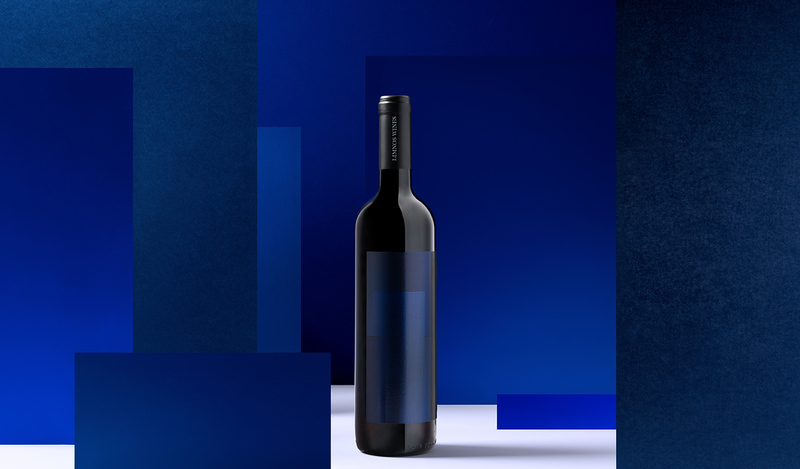 Through the applications, the core values ​​of the brand coexist with a sense of elegance along a contemporary design approach, as the use of dark green makes the palette feel classic. 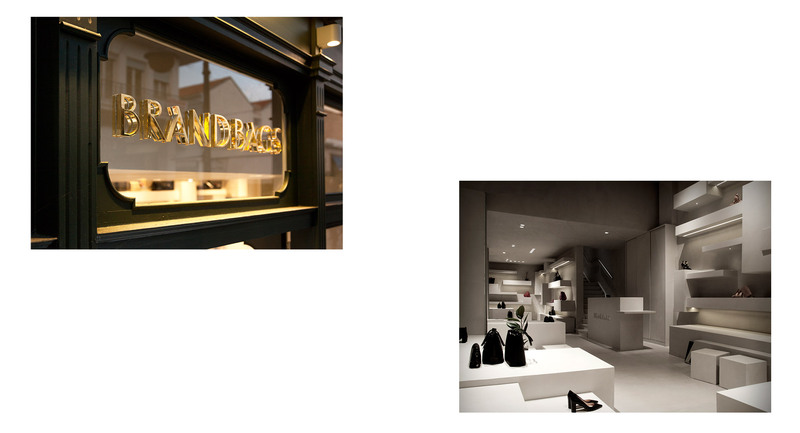 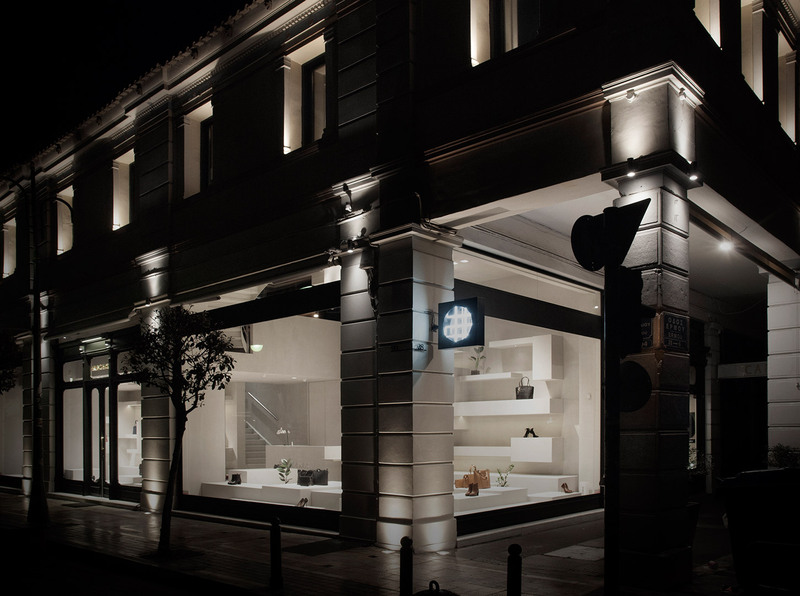 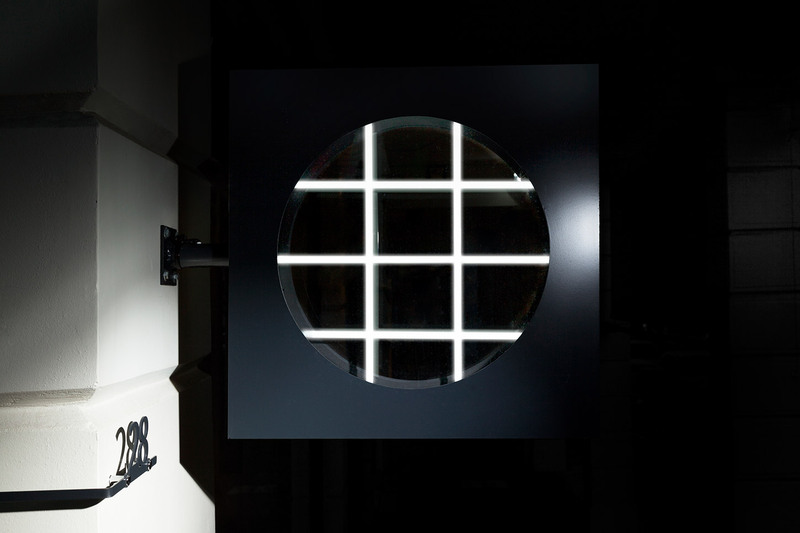 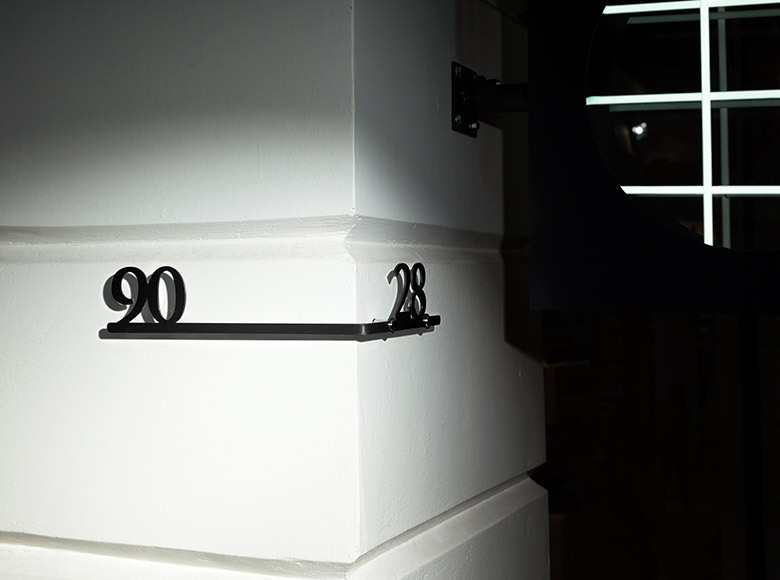 A unique design element is added, that of the structural grid, which is applied throughout all areas of the shop, underlining the architectural style dominated by concrete. 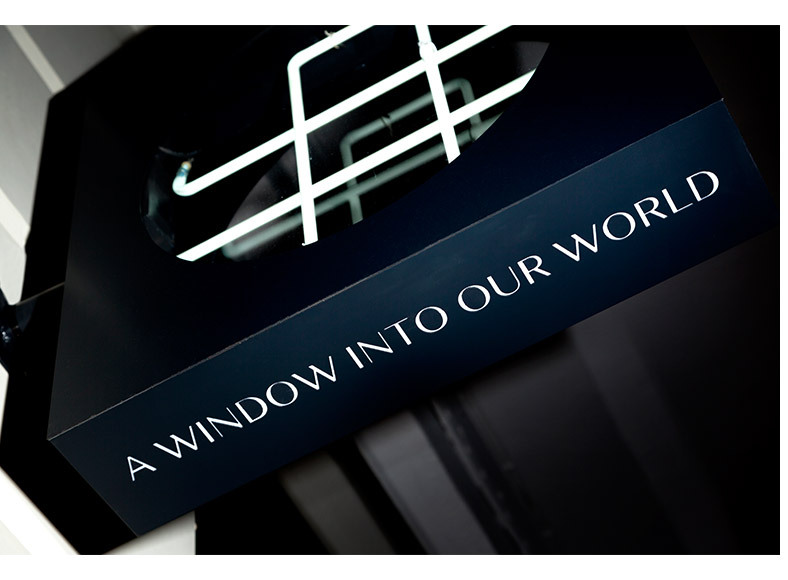 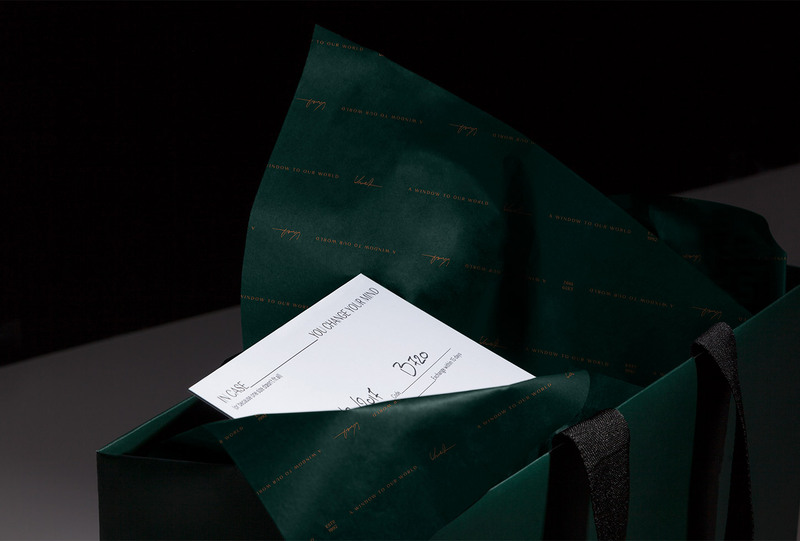 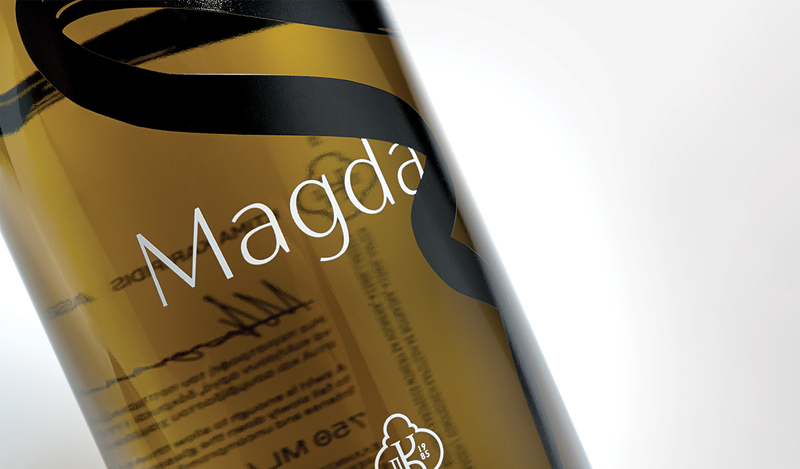 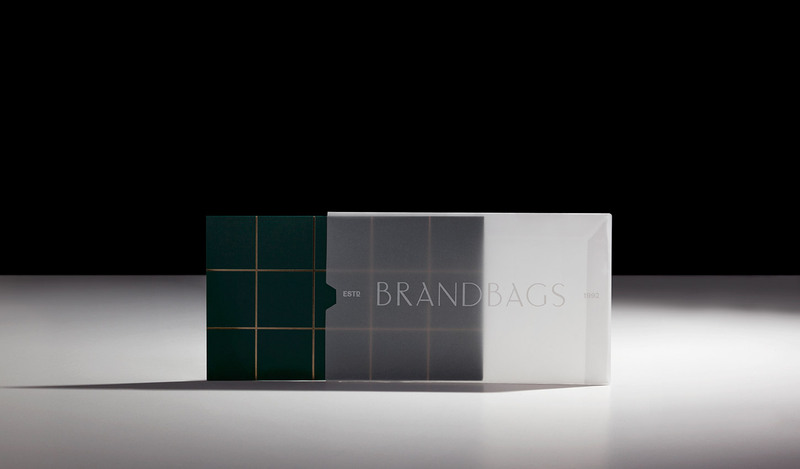 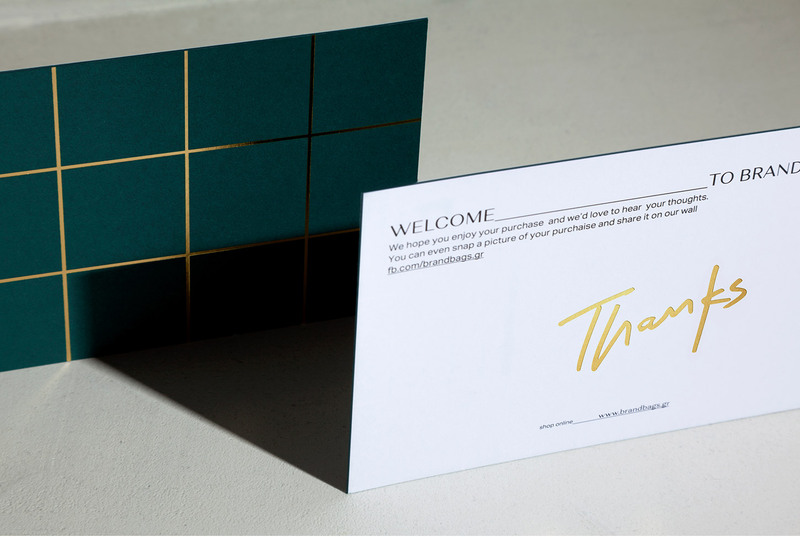 On the applications, the grid system, performs in gold-foil highlighting the overall result with luxury and exclusivity.